Patients with acute pancreatitis undergoing intravenous hydration, the use of Ringer’s lactate may show more promising result than normal saline, suggests a systematic review and meta-analysis. There was a trend towards lower mortality and fewer patients developed systemic inflammatory response syndrome with lactated Ringer’s solution compared to normal saline. 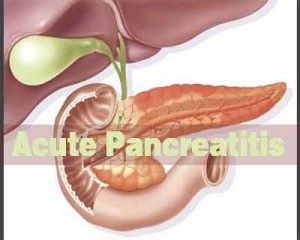 Umair Iqbal and associates analyzed five studies that compared saline with Ringer’s lactate for the management of acute pancreatitis. “In five studies comparing the two hydration approaches, there was a trend toward lower mortality among patients given Ringer’s lactate, with an odds ratio of 0.61, said Iqbal. “However, patients receiving Ringer’s lactate had a significantly lower risk of developing systemic inflammatory response syndrome (SIRS) 24 hours after admission”, he reported at the American College of Gastroenterology(ACG) annual meeting. The investigators conducted a literature review and identified 4,000 articles, with five meeting their criteria for inclusion in the meta-analysis. The total number of patients for the mortality analysis was 428, with 259 in the saline group and 169 in the Ringer’s lactate group. There were 26 deaths in the normal saline group and nine in the Ringer’s lactate group, which was not significantly different. Only three studies included SIRS as an outcome, with 127 patients. There was no difference at baseline in rates of SIRS, but by 24 hours, the syndrome had developed in 17 patients receiving normal saline compared with seven given Ringer’s lactate. According to the authors, there may be two probable explanation for the apparent anti-inflammatory effect of Ringer’s lactate. First, the anti-inflammatory effects of Ringer’s lactate may result from its slightly higher pH. Studies show that acidosis enhances inflammation and necrosis in acute pancreatitis. Lactate in Ringer’s lactate is metabolized in the liver, which results in lower metabolic acidosis and hence protective effects. Secondly, Ringer’s lactate may directly decrease the inflammatory response preventing the activation of NF-KB, the transcription factor involved in this inflammatory process. The authors concluded that large randomized controlled trials are necessary to further strengthen the association of Ringer’s lactate with favorable outcomes in patients with acute pancreatitis, but the findings may help clinicians in making decisions regarding choice of fluid for management of these patients.